I received this book from a publisher ages ago and have been meaning to post about it since, but life and the Cybils got in the way. So here comes the long-overdue Aristobrats post. When I first began this book, I felt totally detached from the characters. 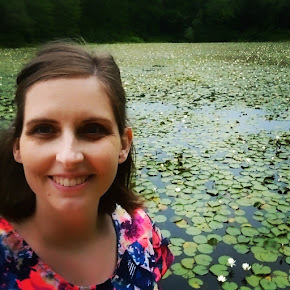 Theirs is an almost ridiculously privileged life that I just couldn't connect with. I'd never heard of most of the designer names these tweeny-bopper characters throw around. They seemed initially so shallow, I just couldn't see what kind of gripping plot could possibly develop with them at center stage. But. As the book progressed, I was quite pleasantly surprised. It wasn't a typical popular-girls-realize-their-shallowness-and-reform kind of plot. It was different, and it was good in its own way, more believable in its own way. The four best friends, "Lylas" (love-you-like-a-sister-s), are at the top of the populadder when they begin their eighth-grade year at their over-the-top-prestigious private middle school. But then they're shocked, and bumped down a few rungs, when they are assigned to head the school's totally uncool webcast. Where I assumed the plot was headed after this revelation---popular girls decide to rock the webcasting thing and by virtue of their own popularity and general coolness turn it around and make it awesome, making them again the toast of the school---was not, in fact, where the plot was headed. So yes. While it was not initially my cup of tea, I did appreciate it in the end. Maybe I was guilty of some bottom-up pride and snobbery of my own. 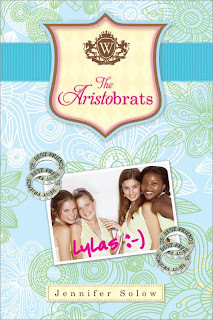 So thumbs up for The Aristobrats' surprising fun and not-as-shallow-as-I-thought-ness. Recommended for middle-school-aged girls. "Populadder." If that isn't already a real word, it definitely should be. Thank you for your review! Both of my girls LOVE to read and this soounds like something they would enjoy. They read a lot of Judy blume over the summer but want something a little more mature now, my oldest is 13. I think I will have to find this for her!